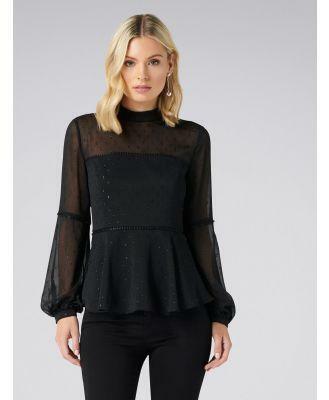 Forever New Anya blouson sleeve bodice blouse - Black. Anya blouson sleeve bodice blouse - Black. Discover a new wardrobe favourite and channel chic sophistication with our Anya Blouson Sleeve Bodice Blouse, sure to see you transition effortlessly from day to night.